This lovely, if somewhat damaged, photo is of my mother Jacqueline (left) and her elder sister Madeleine (sitting, centre). Both girls were tall for their age. Mom appears to be 7-8 years old, while Madeleine is about 11-12 years old. If so, then the picture is from 1940-1941. 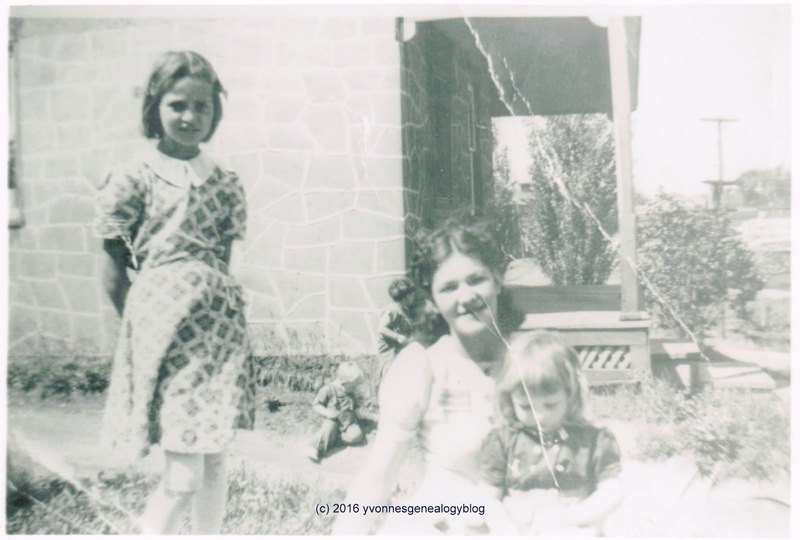 The location is a mystery, but since the Desgroseilliers family lived in Parry Sound, Sudbury, and Blue Water (near Sarnia), Ontario, in the early 1940s, it’s likely to be one of those places. I don’t know who the three little ones are; could they be cousins or are they neighbors’ children? Thanks for dropping by and commenting, Joshua.